This entry was posted in Fireplaces on September 24, 2015 by The Original Flame Author. Sometimes life will throw you a curve and spin your world out of control…or so it may feel at the time. I recently had a scare with my mother’s health and it really brought home to me how truly precious every moment we have with our loved ones really is. In this “connected” busy life we live, real “face to face” time is so important. Life can pass us by while we scurry to get everything done, yet we are missing opportunities to make memories with our dearest loved ones and talk, sing, eat and love. Memories are made not only by the big events or trips but by the time we spend talking, laughing and sharing, the day to day parts of our lives. In my business, people come into our showroom to look for fireplaces and stoves and I talk with them, and, as I listen, I imagine them surrounded by family and friends, making memories of their own. 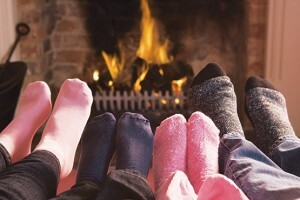 There’s something really special about helping someone find the perfect fireplace or wood stove. Fire is so much more than just a heat source. It is a safe haven, a place to unwind and come together. Fire is part of our primal nature and we gravitate towards it not just as a source of heat and cooking, but also socially as a place to relax and tell stories. Sitting by the fire is the place where all your worries go on hold and you have these wonderful impromptu discussions, these easy, natural conversations. When you can just sit and stare at the flames, no words required, just sharing the moment.